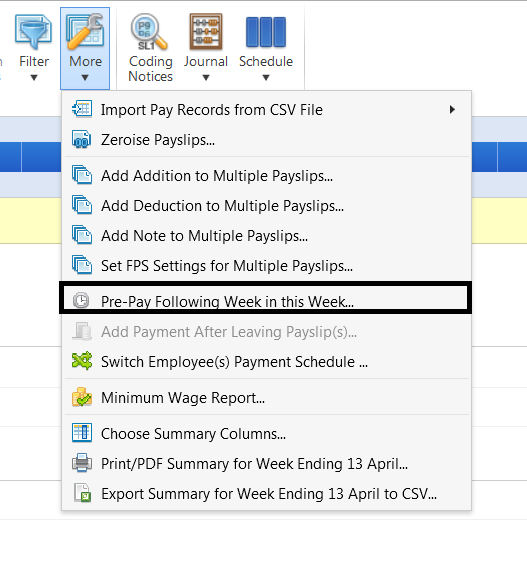 Select the pay period in which the holiday pay is to be processed on the schedule bar. 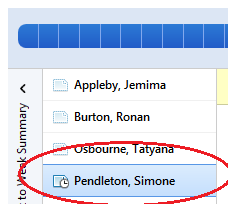 From the employee listing, select the employee's name. 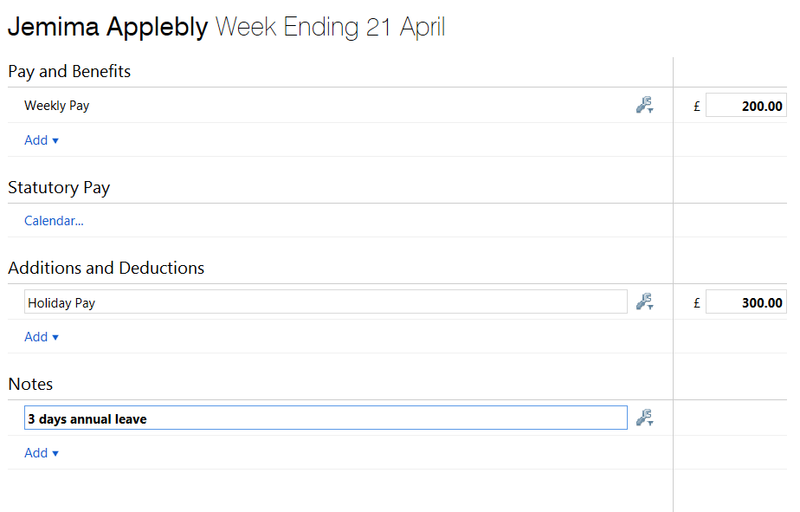 Under Additions & Deductions, click 'Add', followed by 'Holiday Pay'. Enter the holiday pay amount as required. 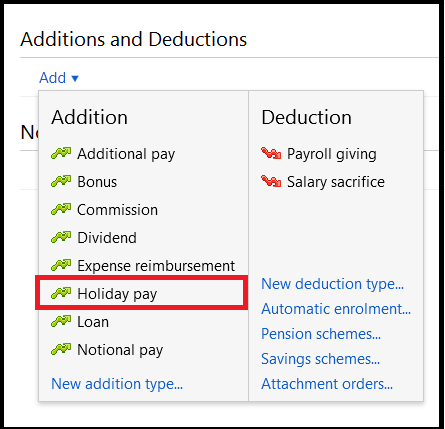 Amending the description 'Holiday Pay' will customise the addition, making it an 'individual' item as opposed to a 'global' item. 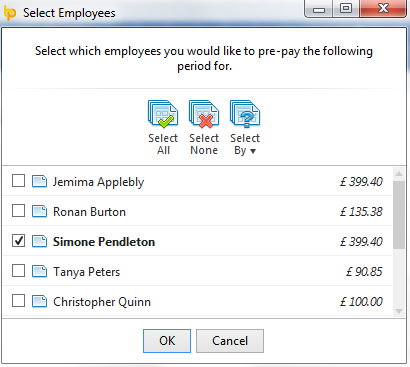 Should you subsequently choose to generate a 'Holiday Pay' report in Analysis, this customised pay item will not be included in your report as a result of the change in the pay item's name. It is therefore recommended to enter a note on the employee's payslip instead, as opposed to amending the descrption of the 'Holiday Pay' pay item. The holiday pay amount due to an employee is not automatically calculated by BrightPay and thus must be entered manually by the user. 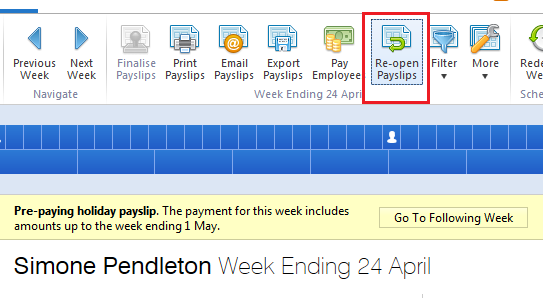 Once all the employee's pay data has been entered on the payslip, simply click 'Finalise Payslips' to update the pay period.